When most people think of May they think of cooler weather, the first of the frosty mornings, and the last of the beautiful autumn leaves on the trees. In my household May also means duck callers, maimais, camouflage and alarms set for 5am. This year duck season has brought a whole new level of challenge for me – I’ve actually had to be a truly supportive wife and appear excited about prepping and cooking the birds! And I must admit, the more I cook them the less daunting they have become. I’ve experimented with different recipes and have now found a couple which really make the effort of preparing these little birds very worthwhile. I’ve already posted a Duck and Basil Pate recipe that always goes down a treat, but here are another two recipes that I highly recommend. For those of you who do not have a duck shooting friend or family member, you can buy ducks from some good delicatessens and they do make for a very special meal. Preheat oven to 200°C. Roughly chop the vegetables and place in the base of a roasting dish. Add the garlic and thyme. Place the prepared and cleaned duck breast-side down on the vegetables. Add enough water to reach halfway up the sides of the duck. Place the roasting pan in the oven and cook for 1 1/2 to 2 hours until the duck is cooked through and the juices run clear. Remove the duck from the pan and set aside. Strain the rich stock and discard all the vegetables. 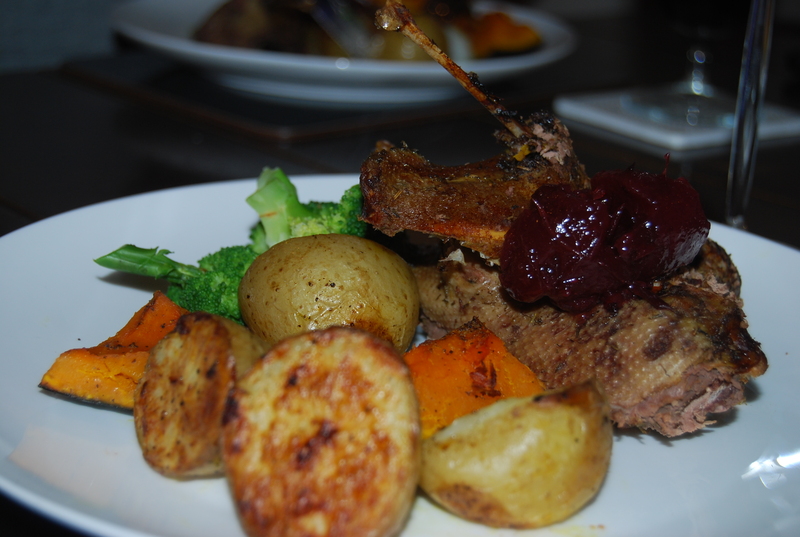 Allow the stock to cool, then refrigerate for later use (see soup recipe).Serve cooked duck with roasted vegetables and whole cranberry sauce. Combine the above ingredients in a large saucepan and bring to the boil. Skim the surface to remove excess fat and turn down to a simmer for at least 30 minutes for the flavours to infuse. Strain the soup and discard all the hard contents. Return the soup broth to the stove top and keep warm. Warm the duck meat and mushrooms in the oven. Divide the noodles between the serving bowls. 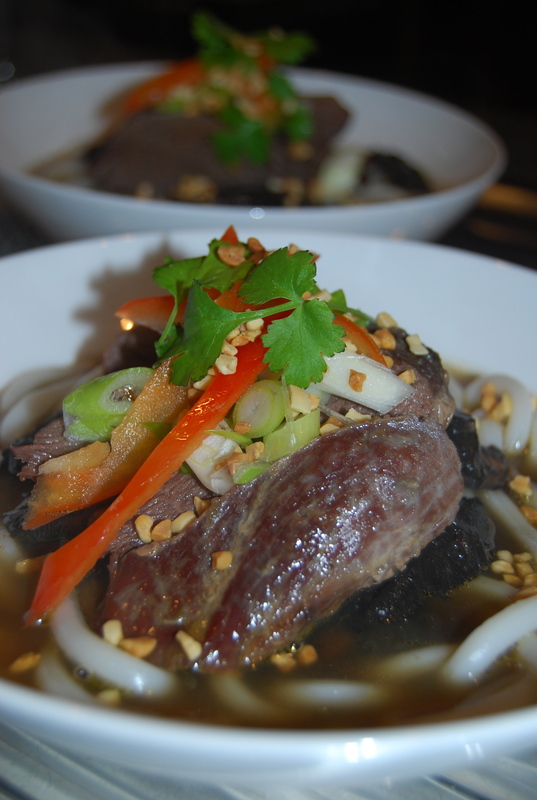 Place the duck meat and mushrooms on top of the noodles, and then garnish with the remaining ingredients. Pour over the hot soup broth and serve immediately.